Fact, handbags are a must when it comes to bringing an outfit together. Actually, they're an accessory of our personality. Are you ready to invest in a handbag that fits you? Well you've come to the right place, we've rounded up the top bags that will be the perfect sidekick for years to come. The Faye has become one of the most popular "it" bags. This bag has been seen by notable influencers such as Sincerely Jules, The Blonde Salad, and Chrissy Teigan. This bag pairs perfect with any coat. It has a feminine, chic, and elegant flare. 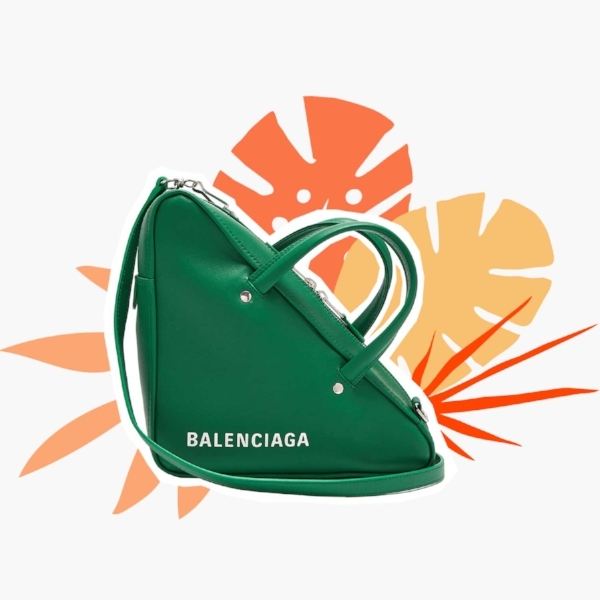 Balenciaga has become a top brand that is known for their street style inspired designs. This bag can convert between a top handle bag and a crossbody bag. The duffle's avant-garde design is made to stand out with any look. As seen on everyone in the Kardashian Klan including new mom Kylie Jenner. The Antigona is similar to the traditional Boston Bag, but has a mix of a femininine and masculine design. Not to mention it is designed flawlessly to fit your laptop, wallet, and any other essentials. The notable Italian designer Valentino's Rockstud design is perfect for the little rebel in us all. This bag is great for a night out. You can remove the chain link strap which turns the bag into a clutch for a more refined look. The studs bring a bit of edge to your glam look. Any other handbags that should have made the cut? Share your faves below!